The AlmaLusa Baixa / Chiado is located in one of the most emblematic squares of Lisbon - Praça do Município. 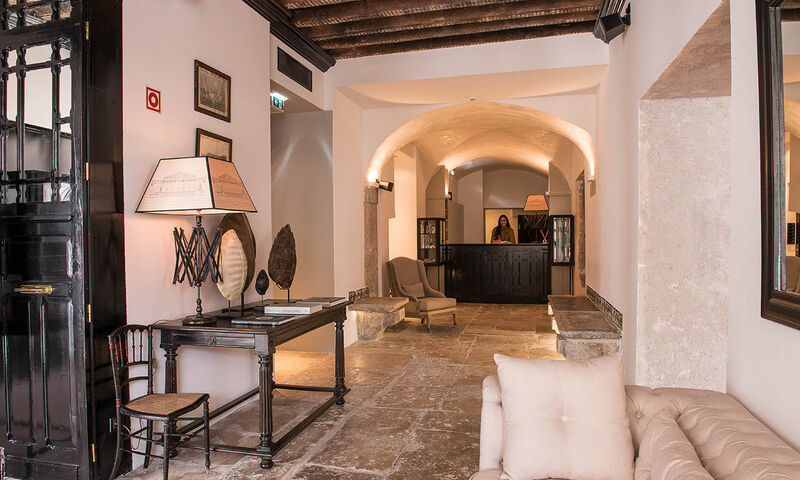 The Hotel is imbued with the spirit of the city and a charming, informal atmosphere that fits our boutique nature. Much more than just accommodation, the AlmaLusa Baixa / Chiado is a place that's alive with Portuguese culture. We use local and national brands throughout the hotel, to provide a unique flavour to your stay. You can sample the best of Portuguese and Mediterranean cuisine at our Delfina - Cantina Portuguesa restaurant, open every day. When you've ready to venture further, just call on our dedicated Concierge Service, who are ready to help you explore Lisbon. in mind all kind of travellers. "We will return here! (...)"
"A gem of a boutique hotel with a warm and caring staff. Worth returning to time and again!" "Would never stay anywhere else in Lisbon. One of my top 3 hotels on the planet." Every area of AlmaLusa Baixa / Chiado tells a story of Lisbon and allows to you to immerse yourself in the city - to feel, touch and taste it - Lisbon Spirit. Our support of Portuguese brands and artisans extends from our soft bed linens, our signature hotel scent, the locally sourced food in the restaurant, our partnership with local winemaker Sogrape, as well as to all our special amenities and souvenirs. can feel the spirit of its surroundings. serving fresh and seasonal ingredients. always highlighting the Portuguese culture. and experiences in Lisbon that we have for you.